This circa 2002 42mm. 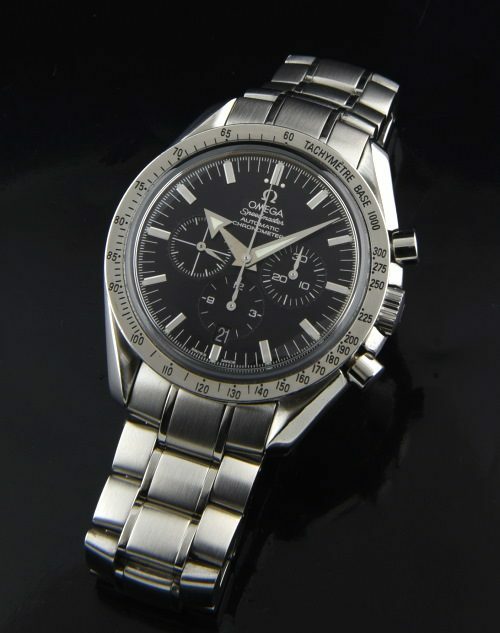 3551.50 modern OMEGA SPEEDMASTER broad arrow chronograph is VERY clean. The original bracelet will fit up to a 7 inch wrist. The entire watch is original with sapphire crystal. 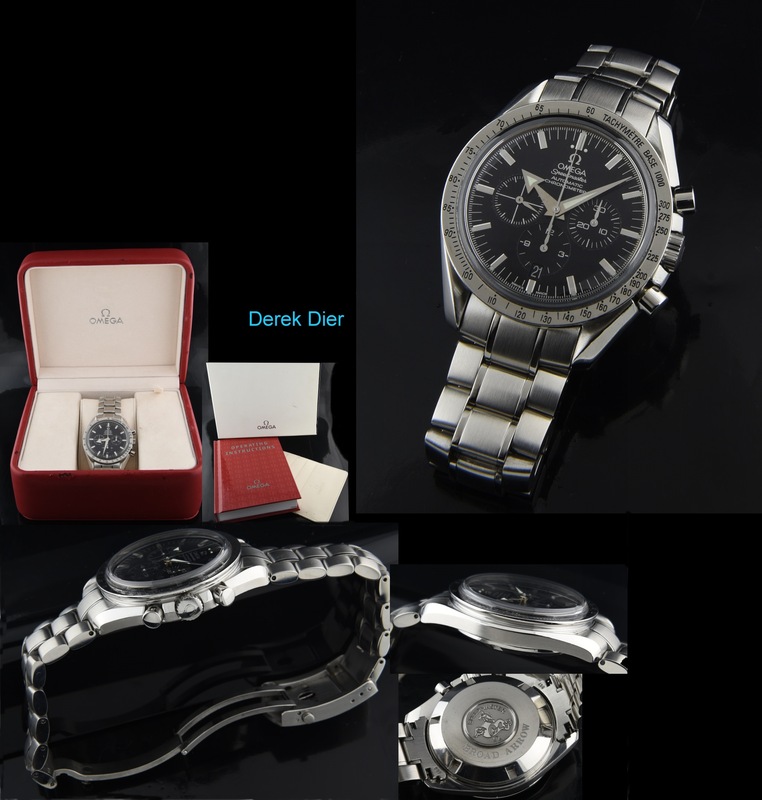 The sparkling chronometer grade caliber 3303 column wheel automatic winding OMEGA chronograph movement is accurately keeping time. There is even an anti-magnetic shield covering the movement. The serial # is 78xxxxx million. This watch has another useful feature, subtly hidden at 6:00-the date feature. The (marked up) box and user manual is included-no date card. The silver gilt print against the black dial really creates a spectacular look on the wrist.